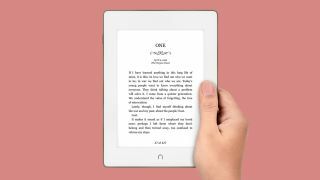 Barnes & Noble is continuing to take on Amazon's Kindle, today introducing an update to its flagship GlowLight with the the first waterproof Nook e-reader - a feature missing from the Kindle range. The great draw of the GlowLight Plus is it's waterproofing, which carries an IP67 rating allowing for the Plus to be plunged into fresh water for up to 30 minutes at a maximum depth of about 1 meter, which basically means you could take the new Nook into the bath or shower without worry. Not only is the GlowLight Plus Barnes & Nobel's first waterproof e-reader, it also touts a 300ppi display and built-in light, features found on the Kindle Paperwhite and Voyage range. The GlowLight Plus also has an aluminum body, which is slimmer and a bit heavier than its predecessor, the Nook GlowLight, which came out two years ago. The Nook GlowLight Plus is priced at $130, and will come with three free books, a $5 credit for the Nook store and no ads. We're not sure if it will draw away loyal Kindle users, but for new comers, it could prove to have the right features, the right price and the bonus of not worrying about dropping it into a pool or bath.